The 2019 Group 1 Blue Diamond Stakes will be run on Saturday 23rd February at Caulfield Racecourse. It is Australia’s third richest 2-year-old race with $1.5 million in prize money on offer. At Caulfield, this Saturday the Blue Diamond Preludes will be run for both Colts & Geldings and Fillies and these two races have provided the best form guide for the big race which will be run a fortnight later. Will this trend continue in 2019? The winner of the Group 1 Blue Diamond Stakes nearly always comes out of the Blue Diamond Preludes to be run this Saturday at Caulfield. Of the last 5 Blue Diamond winners, Written By (2018), Catchy (2017) and Earthquake (2014) have all run and won their prelude races. Pride of Dubai (2015) finished second in his prelude before going one better a fortnight later, while Extreme Choice (2016) followed a different path to Blue Diamond Stakes glory. Since 2007 no Blue Diamond Stakes winner has finished further back than second at its previous start. In the last eight years, punters have been on top with Pride of Dubai ($6) in 2015 the biggest priced winner. Based on this, it is likely that this year’s winner will be running and finishing in the top 2 on Saturday at Caulfield in the Preludes. He or she will also be solid in the betting market. Simple? With so many promising gallopers lining up, maybe not! Was a dominant winner on debut (below) leading all the way and can easily repeat on Saturday from Gate 1. Interestingly, is not nominated for the Blue Diamond but would expect connections to nominate if he wins on Saturday. Trainer Anthony Freedman is building a reputation as a Group 1 trainer and the $8.50 on offer for the big race looks value. Will be prominent. Resumes after winning his only start at Ballarat in the clockwise race back in November and drops in weight. Trainer Michael Moroney has tasted success in the past, with True Jewel winning in 2001. Hawker Hurricane has been solid in betting and any market moves need to be respected. The knockout chance. Catch Me (pictured) confirmed she was one of the main Blue Diamond chances with an impressive last start win at Caulfield, making it 2 wins from 2 starts. Has drawn well this week and looks to have plenty of upside to her still. Trainer Peter Snowden has won 3 of the last 8 Blue Diamonds and Catch Me can easily make it 4 from 9 this year for Team Snowden. 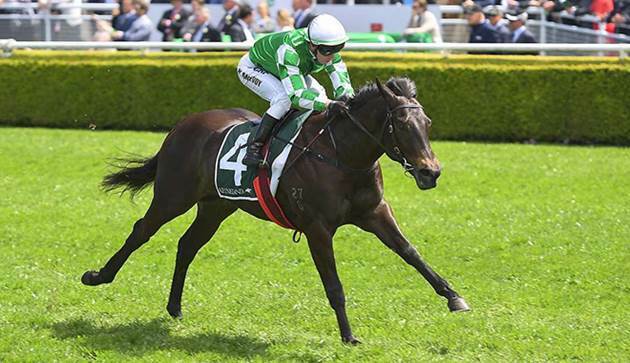 Lankan Star was an impressive last start winner at Moonee Valley and looked to have a bit up her sleeve late, despite travelling wide in the run. Damien Oliver rides again on Saturday from a good gate. Co-trainer David Hayes has enjoyed a lot of success in the Blue Diamond with 5 winners overall, and 3 in the last 12 years. She has the right jockey and trainer to feature again this year. The best roughie of the fillies. Download the New Palmerbet App now, and enjoy the best ever punting experience! Download the New Palmerbet App HERE!